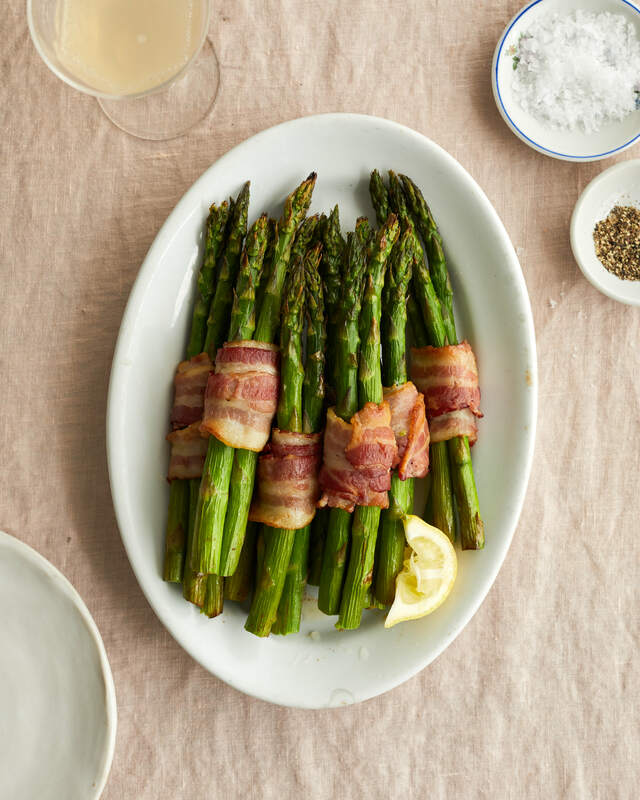 The combination of bacon and asparagus is a stellar spring pairing and a great way to celebrate the arrival of longer, warmer days. Asparagus is also one of the easiest vegetables to prep, making it a great side dish contender during this time of year, when it鈥檚 inexpensive and readily available. Plus, it鈥檚 quick to cook: You can have juicy, vibrant asparagus wrapped in perfectly crisp bacon in less than 15 minutes. Here鈥檚 how to do it. When you鈥檙e shopping for this recipe, your choices in the grocery store do matter. Choose medium asparagus that鈥檚 about 1/2-inch thick 鈥� thin asparagus will overcook before the bacon鈥檚 ready, and too thick means the bacon might burn. As for the bacon, use regular and not thick-cut, which is too thick and won鈥檛 crisp up properly in the short amount of time it spends in the oven. When testing this recipe, I tried it all: wrapping individual asparagus spears in bacon, bundling up the asparagus in uncooked bacon, and more. In each case, the asparagus cooked through and became mushy before the bacon got crispy. The bacon, I learned, needs to be precooked to start the process of rendering out the fat before it鈥檚 used to wrap the asparagus. The easiest way to do this is to microwave the slices just for a minute 鈥� this renders out enough fat to give them a head start so they crisp up in the same amount of time the asparagus needs to cook. (If you don鈥檛 have a microwave, see the Recipe Notes below for how to do it in the oven.) 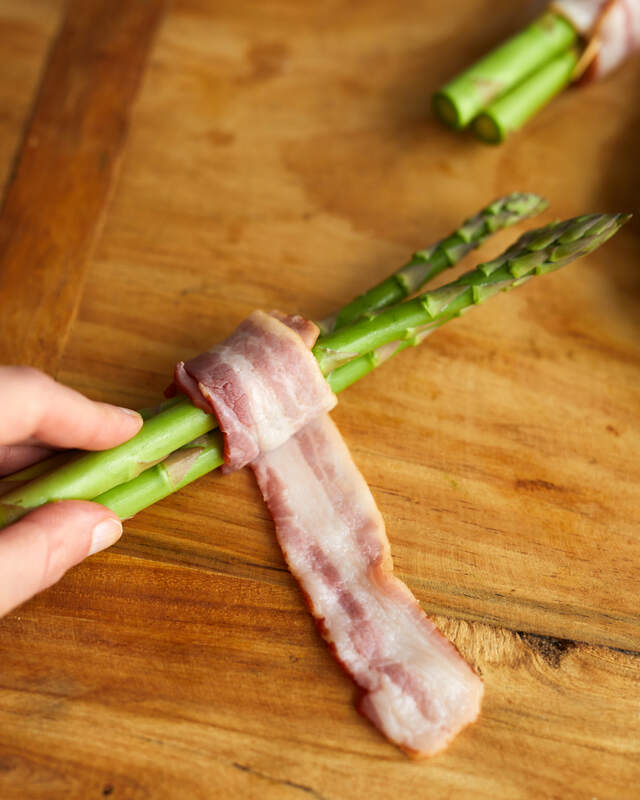 After microwaving, you鈥檒l wrap up each bundle of asparagus in a slice of par-cooked bacon and secure the ends with toothpicks to keep them from unraveling. The last trick is to get everything as hot as possible, and close to the heat source. You鈥檒l preheat the baking sheet so that the bacon touching the baking sheet gets a chance to brown, too, then roast the bundles in the upper third of a 450掳F oven to get them close to the broiler. It鈥檒l take about 12 minutes to get the asparagus to crisp-tender (not mushy! ), then you can crank up the broiler to get the bacon browned to the way you like it. Serve as part of your favorite spring dinner, or with a simple salad and some crusty bread for lunch. Arrange a rack in the top third of the oven and heat to 450掳F. Line a rimmed baking sheet with aluminum foil and place it in the oven while it is heating. Meanwhile, prepare the bacon and wrap the asparagus. Place a double layer of paper towels on a large plate. Place the bacon slices on the paper towels in a single and cover with another layer of paper towels. Microwave on HIGH for 1 minute. When the bacon is cool enough to handle, divide the asparagus into 5 bundles. 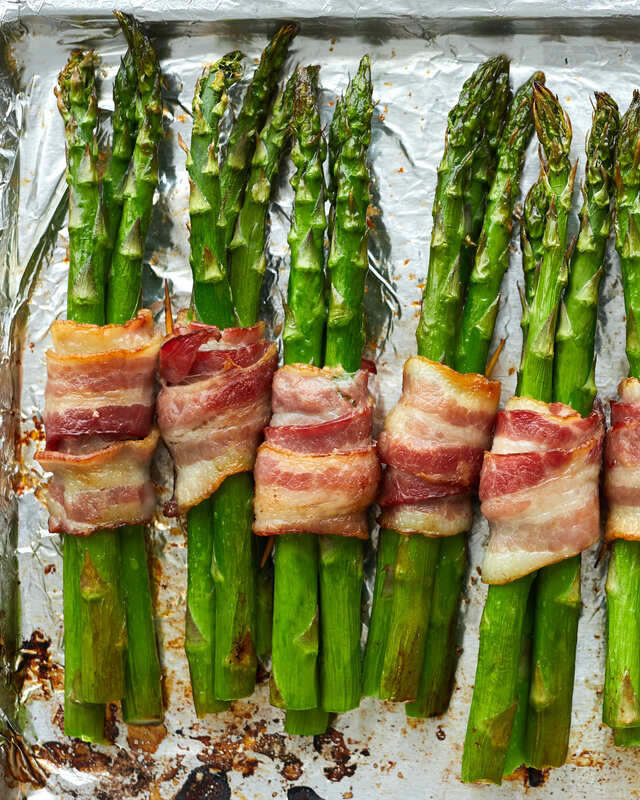 Starting just under the scaly tips of the asparagus, wrap each bundle tightly with 1 slice of bacon in a downward spiral toward the other end, doing your best to not overlap the bacon. Secure each end with a toothpick. Carefully remove the hot baking sheet from the oven. Place the bundles on the baking sheet and season with a few grinds of pepper. Roast until the asparagus is crisp-tender, about 12 minutes. Turn on the broiler and broil until the bacon is to the desired crispness, 2 to 3 minutes more. Serve immediately. 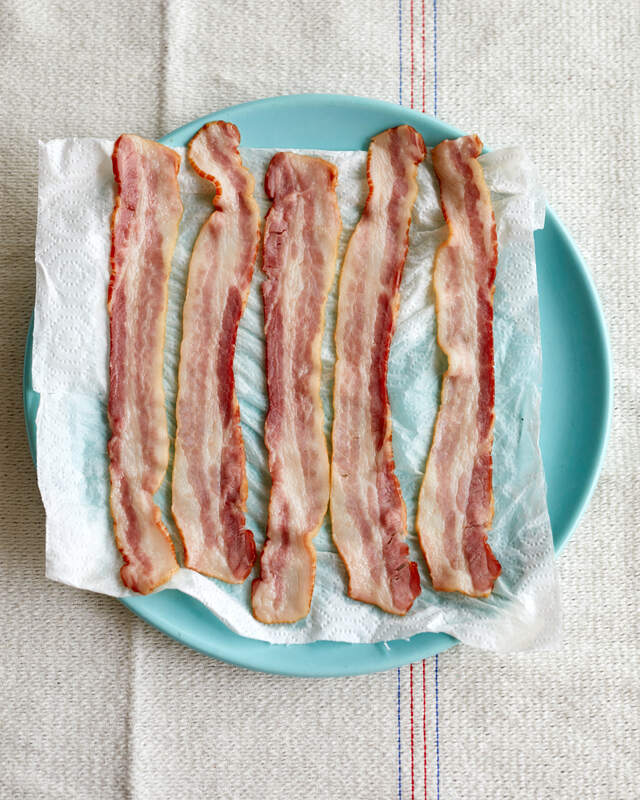 No microwave: If you don鈥檛 have a microwave, place the bacon on the foil-lined baking sheet and cook in the oven while it is preheating until some of the fat starts to render out, about 5 minutes. Proceed with wrapping the asparagus bundles. Doubling the recipe: If doubling this recipe, you can still roast it all on one baking sheet.